Hello there people!! Greetings.. Well.. I'm back here..telling you another stories of my life..dun care whether there's someone who really read this. Lol..
First of all..i looooooveee MONEY! Yes, i do. And i loooooveeeee spending it. Even if i have few ringgit left..it all can gone in few seconds..trust me, if people gave me RM1 million, i can totally spend it in 1 day buying everything i ever dream of..BUT there's only IF..hehe. I don't know when i developed this bad habit..but it suddently just there. I have a strong desire to buy something. It doesn't have to be the expensive one..as long as i can buy something..i'll feel so satisfied. The tendency of buying something is really out of control now. Forgot to mention..i'm currently unemployed..and the only income for me is from selling dvd..i can only get around RM50-60 per week if there's demand. Beside from that, the rent money from my house in KJ..not much though..but still count as money. This feeling of buying something can become worst if i'm stress. During my university level..when i'm stress..i'll just go to the mini shop/mart and take everything i can see or eat. Sometimes, the things that i bought..are not necessary. I think..the feeling of buying something become wild and worst after my graduating. During my study, I do save a lot of money. I'm the one who will not spend money on mags, novels, scarf, dress etc like any other girls my age will do. But i did spend on make up..depends on my budget. Yessss..i do have my tiny weenie black book of budget. Since i only received quarter of the loans, so i depended on the allowance money from my dad which i'll receive monthly. I'm not the one who likes riding on public transport..so, i prefer to stay at the dorm and playing with my laptop. I don't like to hang around with other girls since they have difference perspective, preference and interest from me. I only have few friends that i really closed to until today..and i don't like FLIRTING..like other girls do. When i come to class, i'll just go, sit, listen to the lecture and when straight to the hostel. I considered myself as independent person b'coz i go solo..i don't registered same subject with my other friends..i've come to class alone. Coz by doing so, i can meet many new person and friends. Even i prefer to go solo, doesn't mean i don't socialize myself. I do..but only when i have to. I just don't like to mingle around and waste my time on something unbeneficial or detrimental for me. Hence, from that attitude plus the budget constraint..i've ended up saving few hundred ringgit. Back to the stories.. After graduating, i decided to rest few month before searching for job. 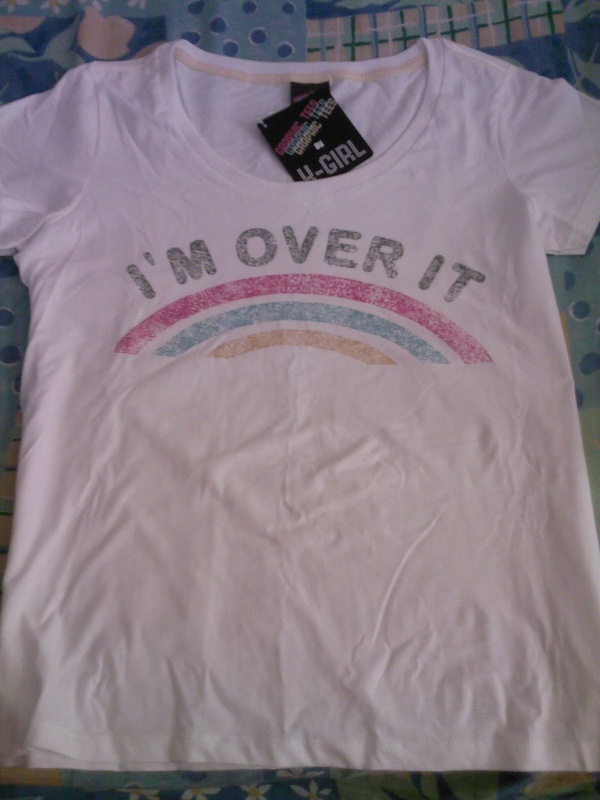 So, with no job to handle..i start to know online shopping worlds..it was great though. I found a lot of things that interesting especially when it come to plus size thing~ie.. beautiful shoes with extra size, plus size clothing.. accessories... zillions of thing!! If I want to list all of them..it will took foreverr!! Can u imagine?? When everything become all yours in 1 click only. Everything is on your fingertip. Hahh!! From there also I learn the application of online banking..thats the positive part of this. I started to experience managing my account using online banking which was quite new for me before. Well, I do enjoy all the experience..there was time when i've become crazy and excessive in shoppings..but now, i think i've started to have control in handling myself with these problem. I'll start a new career soon..which pay me more salary than previous employment..insyaallah. I really need to get hold of myself again and start looking back to my tiny wheenie black book of budget.. Hmm.. i wonder where i put that book..haha. After so long not writing in here, I think i've wrote too much this time in this post. But..nobody care,rite? 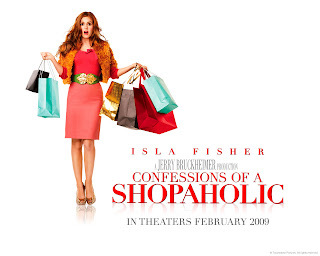 Before I'll go, I'll leave u'olls fews sneak peak of my crazee shopaholics world..see ya! Daa.. 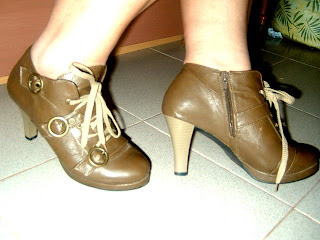 This is my latest shoes collection..chestnut. Bought it at owhowl.com. few weeks ago. 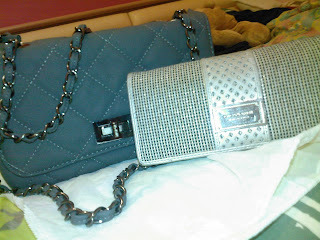 This is one of my collection of purse and hand bag..both in grey and silver color. Love it! I've bought this t-shirt when i broke up with him..it's an inspiration for me. This is one of my fav white sandals..it comfy and it's white. 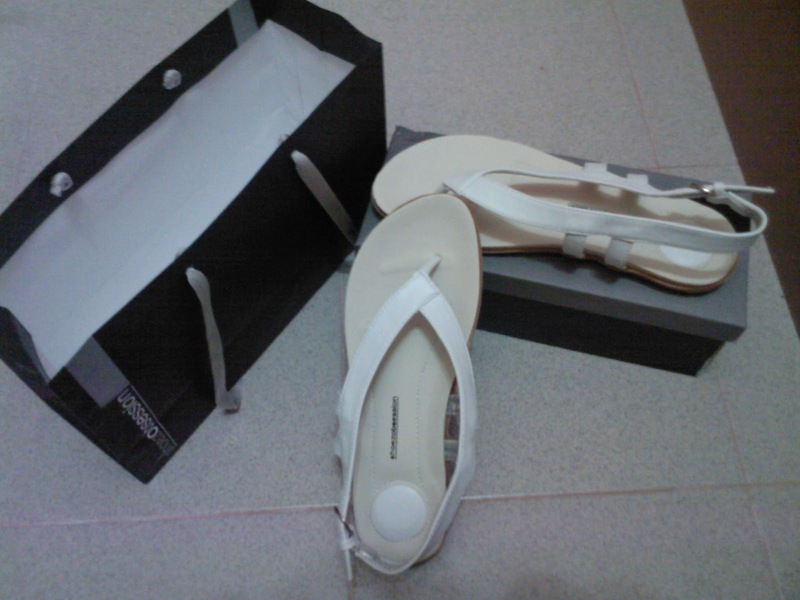 But unfortunately, I lost half of the sandals..poor me,kan?? This lovely tam hat is from lola anne shop..and again..it's white!! 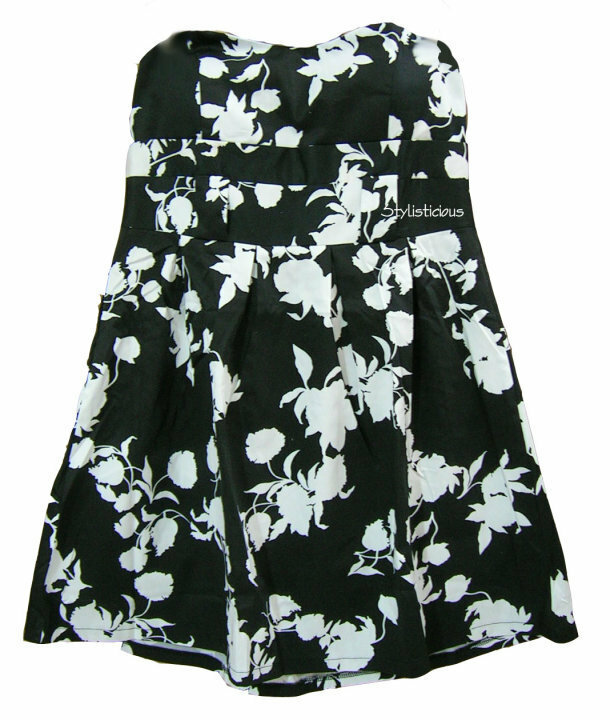 This lovely dress is one of my favourite from styliciousplus..great material, great quality..daebakk!! 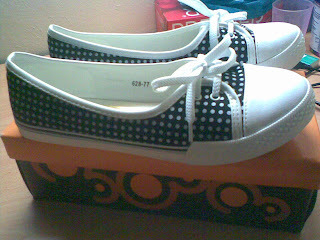 This is my funky polka dots flat shoes..just totally into polka dots plus the black&white elements.. This is my latest spending..half cardi..white color..love the puffy elements on the shoulder. Love this blouse..not too excessive look. Just simple and nice..